We’re only a month into 2019, and we’re already expecting some of the best music to come out of this year. With the release of Ariana Grande’s fifth album, Thank U, Next, this week, we thought we would look at what other upcoming new albums of 2019 to look forward to—and let us warn you, that there are a lot. With new albums expected from Rihanna, Taylor Swift and Beyoncé, 2019 is shaping up to be an excellent year for music. But what will be the most anticipated albums of 2019? Well, along with the aforementioned, there are several albums to be released in 2019 in genres in pop, rap, R&B and more. The 2019 Grammy awards haven’t even happened yet, and we’re already looking forward to which singers and artists will sweep the awards show next year. From Cardi B’s sophomore album to another banger from Lana Del Rey, there’s a lot of music to be excited for in 2019, and we can’t wait to listen to it. Whether you stream your music or buy albums in physical copies, these upcoming new albums of 2019 are worth a listen. Check out the most anticipated albums of 2019 from artists, like Cardi B, Rihanna and Ariana Grande, ahead. Kevin Mazur/Getty Images for Billboard. 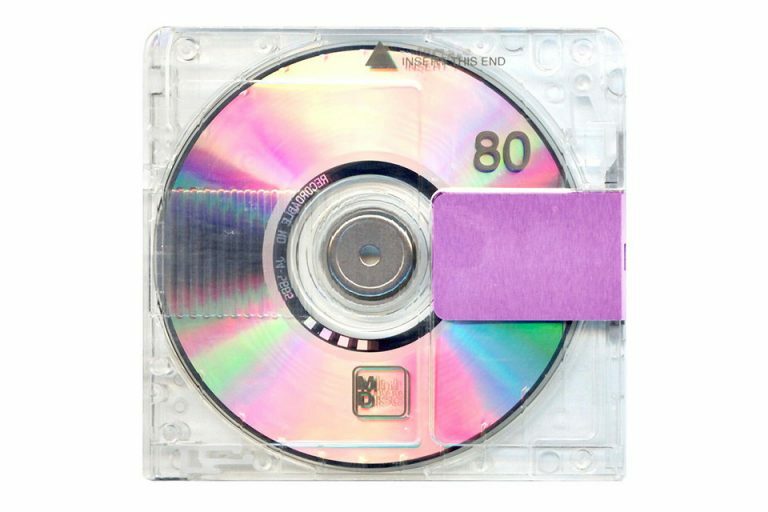 West’s ninth album, Yandhi, is expected some time in 2019 after it was delayed twice in 2019. Much like West’s 2013 album, Yeezus, the album’s title is a play on another historical figure: Indian activist Mahamata Gandhi. The album, whose cover is a transparent minidisc case, includes collaborations with Lil Wayne, Migos, Timbaland and 2 Chainz, according to TMZ. West also confirmed that 6ix9ine and XXXTentacion will also feature on the album. It’s unclear what the sound of the album will be, but in a snippet on Twitter, West can be heard singing in falsetto with layered sounds. In a video captured by Fader, West can be seen playing one of his songs, which include the lyrics “I’m giving up my slave name” and “Saint, you don’t really need a last name/North, you don’t really need a last name”—in reference to his children with Kim Kardashian. Frazer Harrison/Getty Images for Coachella. After taking time away from her music to focus on her beauty brand, Fenty Beauty, Rihanna is back in the studio and confirmed that she’s releasing a new album in 2019. In January, Rihanna’s producer, The Dream, told Hot 97 that the singer is almost done with the album, which will be her ninth. “She’s cooking, she’s about done. She’s about done. Super close,” he said. So far, Rihanna hasn’t released any songs from the album, though she has teased some of her vocals in a video on Twitter. In a 2018 interview with Vogue, Rihanna confirmed that her new album will be reggae-inspired. There are also rumors that artists like Cardi B and H.E.R. will feature on the album. Rihanna’s lack of music has been a running gag in her fanbase, the Navy Army, with fans reminding her on social media to release new music. She even made a meme of the situation on Instagram, with a photo of her looking stressed-out with the text, “When your fans keep asking you for new music.” “i feel attacked. ***valley girl who’s never been attacked voice*** R9 chronicles,” she wrote in the caption. Less than a year after the release of her debut album, Invasion of Privacy, Cardi B is expecting to release second album in 2019. The rapper confirmed the news on Instagram on January 1. “Of course, it’s going to be an album in 2019,” she said, responding to a fan who asked about the status of new music. Cardi also revealed that she’s planning on releasing the album around the same time she released Invasion of Privacy, which places her sophomore album release in April 2019. However, Cardi also added that the timeline isn’t set in stone, given her busy schedule. “Hopefully I can get my album done around the same time that Invasion of Privacy came out,” she said. “I don’t know how possible that’s gonna to be because I feel like I’m gonna be extremely, extremely busy.” But have no fear, Cardi fans. According to Billboard, he rapper is also planning to release a deluxe version of Invasion of Privacy this year, meaning that fans will have new Cardi music either way. John Parra/Getty Images for BET. Following the success and critical acclaim of her third album, A Seat at the Table, Solange told The New York Times in 2018 that her next album will feature sounds from jazz, electronic and hip-hop. “There is a lot of jazz at the core,” she said.. “But with electronic and hip-hop drum and bass because I want it to bang and make your trunk rattle.” And though the album was almost complete at the time of Solange’s NYT interview, the singer told the newspaper that it’s far from done because of her usual heavy editing process. “I like to be able to tell the story in 13 different ways, then I like to edit,” she said. Though the album was set to be released in fall 2018, Solange also teased a surprise release, like her sister, Beyoncé, which could be happening any time this year. FilmMagic/FilmMagic for Bonnaroo Arts And Music Festival. Gambino released three singles in 2018—”This Is America” (which reached number one), “Summertime Magic” and “Feels Like Summer”—so fans expect his album to come out any day now. According to NME, the album will also feature a collaboration with Chance the Rapper and the sound will lean toward punk, unlike Gambino’s previous rap albums. It’s also likely that several of Gambino’s songs will also feature a political theme, like his lead single, “This Is America.” With the success of his TV show, Atlanta, and his shift toward on-screen work, fans have suspected that this album may be Gambino’s last. The suspicions were only supported by Gambino’s creative director, Ibra Ake, who confirmed the news to WNYC. “So that’s happening right now and we’re working rapidly to just get as much out as we can. Especially this last run, to really make a big bang, because this is Donald’s last album,” Ake said. Kevin Mazur/Getty Images for Diamond Ball. Chance’s next album will be the follow-up to his 2016 album, Coloring Book, which was available only to stream and earned the artist several Grammy nominations, including important wins for Best New Artist, Best Rap Album and Best Rap Performance. So far, Chance has released four songs, “Work Out,” “Wala Cam,” “I Might Need Security” and “65 and Ingleside.” In June 2018, Chance told Complex that the album fill feature a seven-track format, made popular by Kanye West, who is believed to feature on one of the songs. Childish Gambino has also been rumored to be a collaboration on Chance’s album. Since BTS’s explosion in the United States, the K-pop boy band’s next album has been anticipated across the world. According to NME, the band is expecting to release another album in 2019, less than a year after the release of their sixth album, Face Yourself, in 2018. It’s unclear what the sound of their next album will be, but fans expect it to follow the band’s usual boundary-breaking K-pop. It’s been four years since Adele released her most recent album, 25, so fans are understandably anxious. The singer is expected to release her fifth album in 2019, which is rumored to be released around Christmas time, according to The Sun. “Se’s back in the UK and intends to write here. A number of studio musicians have been approached to work with her and she’s already penned some of the songs,” a source told The Sun. It’s unclear what the sound of the album will be, but expect the singer’s usual pop-inspired ballads. The album title is also unknown, but if it follows in the same format as her last three albums, 19, 21 and 25, expect it to also be Adele’s age at the time of release, which would be 31 years old. Ethan Miller/Getty Images for BT PR. After about six years away from music as she battled Lyme disease, Lavigne is back with new music. The singer is set to release her sixth album, Head Above Water, on February 5. The album, whose cover features Lavingne naked with a guitar, will explore the singer’s journey and near-death experience Lyme. So far, Lavigne has released two songs from the album, the gospel-inspired ballad Head Above Water and the jazzier, Tell Me It’s Over. Since the release of her single, “Bad Liar,” in 2017, fans have been expecting Gomez’s next and third solo album. Could 2019 be the year? So far, Gomez has released four songs from the new era. Along with “Bad Liar,” the singer has also released the low-tempo pop songs, “Wolves” and “Fetish.” In 2018, she released the pop ballad, “Back to You,” from the soundtrack of the second season of her TV show, 13 Reasons Why. In the past few months, Gomez has taken a break from the spotlight as she entered rehab to deal with mental health issues. She exited rehab in late 2018, so fans expect her to make return to music sometime this year. Swift hasn’t announced a new album, but fans expect the singer to release new music by the end of 2019. According to Perez Hilton, Swift plans on releasing her seventh album before she turns 30 in December 2019. “What I did say to Taylor was I would love it if the next album had a song called ’30’ to keep up the continuation—she had ‘Fifteen,’ she had ’22,'” Hilton said in a video blog. “She’s like, ‘Oh, well, the next album will definitely be out before I’m 30. '” Given that it’s been two years since Swift’s last album, Reputation, the next album would fall in the same timeline as Swift’s previous albums. As for the sound of the album, fans expect it to follow the vibe of her ballad, “New Year’s Day,” which ends Reputation and is believed to mark Swift’s next musical era. Gareth Cattermole/TAS18/Getty Images for TAS. There’s no official news that Bey will release a new album this year, but given that it’s been three years since her last album, Lemonade, fans are certain that B7 is coming. One of Bey’s former producers, The Dream, told Hot 97 that the singer is working on new music, though he doesn’t know any details. She’s doing something,” he said. “I actually haven’t talked to her about it—I’ve talked to the team about it because it’s a kind of just being coordinated, but she’s doing something.” It’s unclear when B7 will be released, but knowing the singer, there will likely be a surprise drop, so keep your eyes peeled. Kevin Mazur/Getty Images for City of Hope.